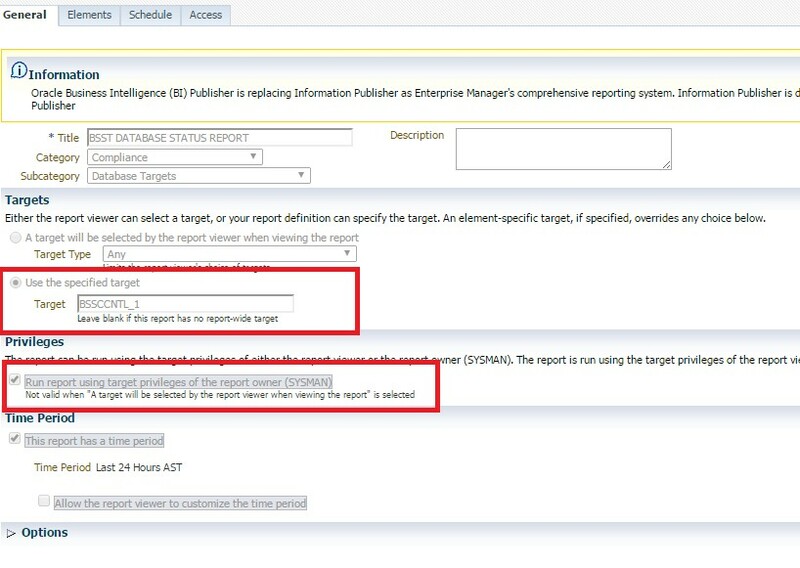 REPORTING module can be used in oem cloud control to generate custom reports like , database status report of all target databases. Repository database contains all the target details and metric information . So best way is to run query against the repository database. You can preview the report also. Once the preview is fine, you can save it. HTML formatted report will be sent the the mentioned email addresses.